From towering blast furnaces to mile-long rolling mills, steel mills are some of the most fascinating - and dangerous - places on earth. And no other industry relies as heavily on rail transportation. Whether moving raw materials, in-plant production or shipping finished products, railroads are essential to every part of the operation. Together, this powerful combination makes steel one of the most awesome industries you could ever build for your layout. 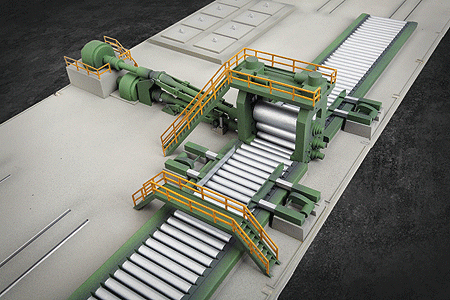 Copy this Rolling Mill to your MY ACCESSORIES roster.